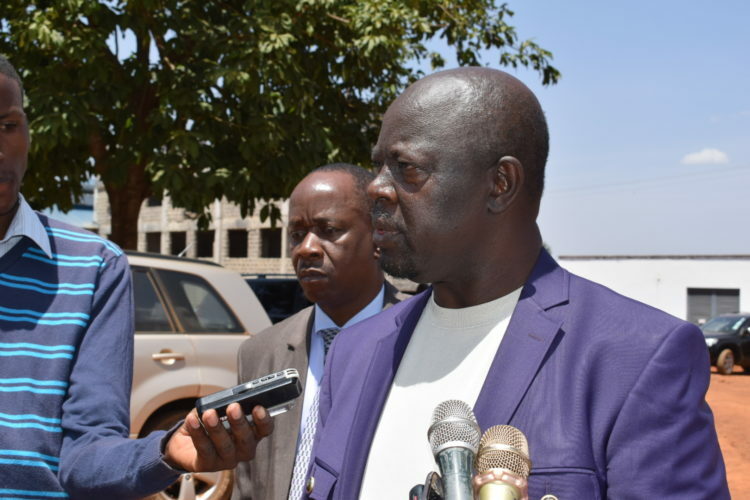 Trans Nzoia Governor Patrick Khaemba has urged striking nurses in the County to honour the court order and go back to work. Nurses in the County went on strike on Monday and called for better pay, a good working environment, and their displeasure with some of the health officials in the County. Speaking after touring the referral hospital under construction in Kitale, Governor Khaemba said the nurses should respect the court’s directive which called for an end to the strike in the affected Counties countrywide to pave the way for talks, “The nurses’ strike is illegal and they should return to work immediately. What they are doing is against the law and I’ll not accept this,” he said. He added that he’ll only deal with the complaints of remuneration on the basis of advice from the Salaries and Remuneration Commission (SRC). However, he noted that corrupt individuals had infiltrated the health sector in the County, citing a case where six officials had been involved in corrupt activities, including stealing drugs from the hospital, waiving patients’ debts and promised to revamp the health sector. He added that some workers had been stationed at a hospital for more than 20 years and didn’t want transfers, but said he won’t be intimidated by the nurses’ pleas, “I’m now moving to make tremendous changes in the health sector and I expect more noises from the nurses in future. I won’t be deterred from making the necessary changes,” said Khaemba. Concerning the reshuffle of health officials in the County, he dismissed the nurses’ calls. They had voiced their concerns with the Health CEC Christine Tanguli and the chief officer Charles Barasa Khaemba and wanted them dropped from their positions. But the Trans Nzoia Governor said the two have made drastic steps to improve the health sector and have performed well.